Now Snapchat wants you to share the location where you took the snap in a very interesting way. 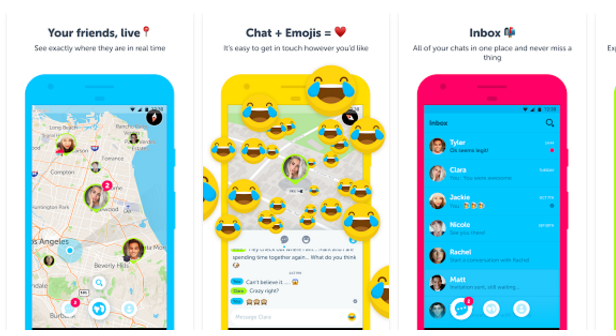 The social media giant launched its new update in the app to retain the lost interest of users. When you open the app somewhere the app will automatically update your location on the map with a bit emoji. You can select to share it with everyone, only with friends or with no one at all which ‘Ghost mode’. If you don't open the app for long your bit emoji location will disappear from the map. The feature also shows the Snaps collaboratively with the tag ‘Our Story’ and it also shares the heat zone Snaps, too many Snaps coming from the same place. The Snaps are sorted with the help of machine learning technology which categorized the Snaps accordingly. Recently Snapchat was in news due to many events and that didn't turn out well for the company. The pic story sharing app is facing all-time low business, the market of snap chat is at its lowest performance. The company needs some strengthful actions to regain the place in the market and location sharing feature is the beginning. It will be interesting to see how the user will react to this feature. It could be a game changer for Snapchat. 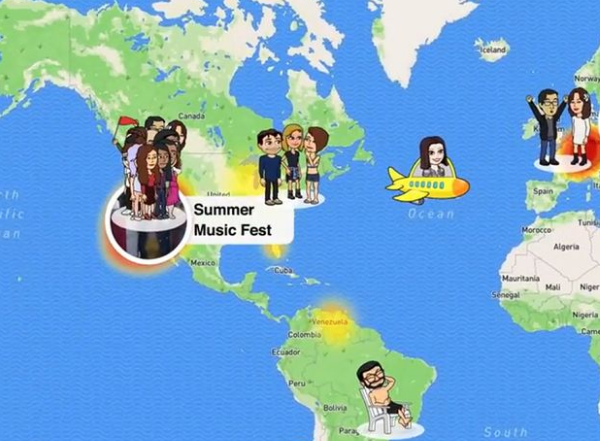 According to reports, Snapchat has bought a social mapping startup gently. Zenly is a Paris-based startup with around more than 400 million downloads till date including 24% from France. The deal is closed somewhere between $250 million to $300 million dollars. Zenly is very much famous among the teens as they want to in regular touch with their friends by sharing location. The app helps the user to share their location with others on the app socially along with many features. Snapchat have decided to run the zenly independently for now.